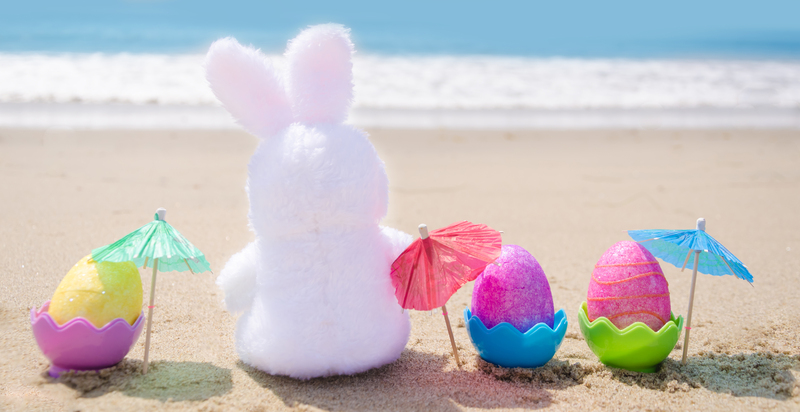 There are tons of egg-cellent reasons to spend Easter Weekend at the beach! From the Easter Art & Craft Show/Kids Fun Fair to watching the sun rise above the ocean’s horizon Easter morning, you won’t be disappointed. There will be a Sunrise Service held on North Division Street and the Boardwalk at 6am, open to everyone, sponsored by the Ocean City Christian Ministers Association. Hop on over to the Ocean City Convention Center this Friday, April 20 and Saturday, April 21 from some fun-filled family Easter activities. The show and fair will be from 10-5pm both days with an entertainment schedule filling every minute! Admission is $4/adult, $3/seniors (60+), and $3/Students (4-18). For anyone under the age of 3, or with a Military, Police or Fire ID is admission is free. Start the day off meeting Beanny the Easter Bunny, then head over to the Easter Egg Hunt! Play musical chairs, take part in a “fastest dresser” relay, and see how low you can really go with the limbo contest. Always wanted to know how to make a balloon animal yourself? Check out the balloon animal making class at 2pm both Friday and Saturday. The arts & crafts fair, games, contests, Easter egg hunts, races, and much more are all included with admission! Explore some of the more “extreme” events like the Shark Slide, Moon Bounce, Obstacle Course, Sand Art, Face Painting, and others at small additional costs. Make sure to get your professional photo taken with the Easter Bunny!